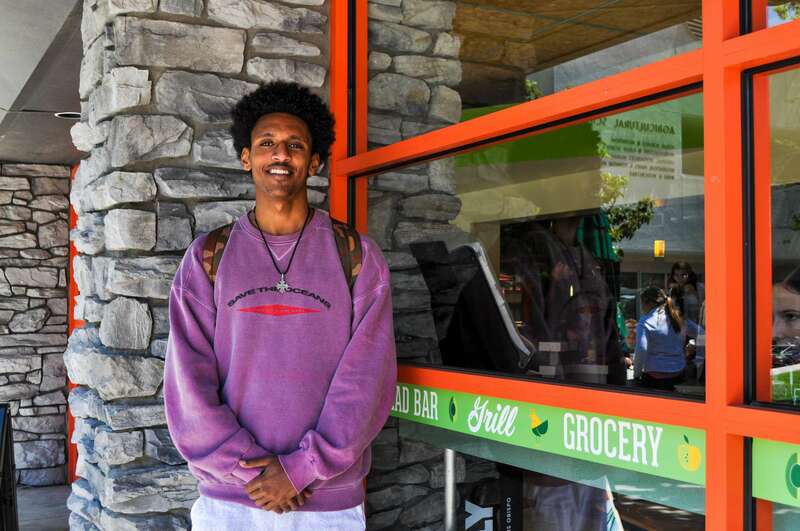 Sigma Nu members elected Amman Asfaw, electrical engineering sophomore, to fill the chapter’s newly created position of diversity chair April 15, becoming the first Cal Poly greek chapter to officially create and fill a diversity position. At this time, Interfraternity Council (IFC), Panhellenic (PHA) and United Sorority and Fraternity Council (USFC) chapters are not required to create diversity positions. According to the requirements of the current greek life probation, all chapters need to “develop and implement a long-term education plan that addresses topics of diversity and inclusion,” but does not specify that the plan needs to include the creation of a diversity chair. Sigma Nu created the diversity chair position before the probation conditions were released on April 25. Kyle McBerry, biology junior and Sigma Nu chapter president, said the chapter does not consider the addition of a diversity director as their entire diversity plan. At the April 15 Sigma Nu meeting, which occurred on the Sunday directly after the blackface incident, the members motioned to create the diversity chair position. The idea was inspired by the suggestion of a chapter diversity chair in both an IFC meeting (IFC is currently in the process of accepting council-level diversity director applications) and during the emergency town hall meeting. Directly after the motion passed, Asfaw was nominated and elected to fill the position. He has been officially serving as diversity chair since his election and will continue serving as the chair next year. The bylaws detailing the position’s exact responsibilities were officially approved at a Sigma Nu chapter meeting this past Sunday, May 6. Main responsibilities for the diversity chair include working in tandem with other chairs in the chapter to incorporate and consider diversity, increasing overall chapter diversity and collaborating with at least one on-campus cultural organization every quarter. Asfaw has already begun to take action as diversity director. Every year Sigma Nu puts on Turn the Tables, a philanthropy event which raises money for RISE, a non-profit organization which provides treatment services to survivors of sexual assault. In the past only PHA sorority chapters have been invited to participate in the event, which involves purchasing and painting tables. Asfaw worked with Sigma Nu’s philanthropy chair to extend the invitation to include Black Student Union (BSU), Society of Women Engineers (SWE) and all USFC sorority chapters. The price to buy a table will also be reduced for members from these organizations since their organization budgets are much smaller than PHA chapter budgets. Since the position was established halfway through spring quarter, the current allocated budget for diversity chair is only $75. Other ideas Asfaw hopes to implement as diversity chair is a platform for members to speak up and educate other members on their cultural backgrounds, education on resources and events outside of greek life and overall education on cultural issues. As the first, and currently only, diversity chair in greek life, he has no guidelines to follow.